J’espère que vous allez bien en ce début de semaine ! Aujourd’hui je vous présente une carte qui combine trois challenges : Less is More #322 et ses tons pastels, Just add ink #353 avec ses petites créatures et le dernier challenge#11 de Darnell ! I hope the beginning of the week finds you well ! 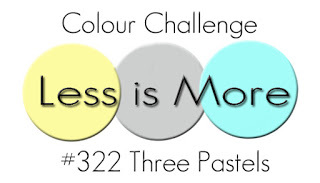 Today I present a card which combine 3 challenges : Less is More #322 and its pastel colours, Just add ink #353 with its critters and Darnell’s latest challenge #11 ! Mi-décembre j’avais fait une carte pour l’anniversaire d’une collègue de ma soeur. Il se trouve qu’elle a beaucoup aimé sa carte et m’a demandé de lui en faire une pour sa petite fille qui est née le 1er décembre ! Heureusement qu’elle m’avait bien précisée que ce n’était pas urgent ! 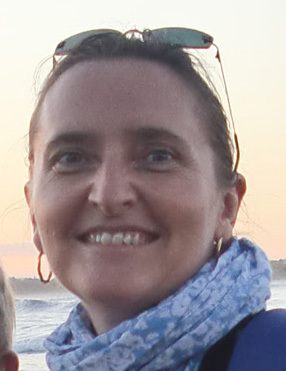 Mais jusqu’ici je n’avais pas trop d’inspiration d’autant plus qu’elle souhaitait un format assez grand (160×160). Mais les cartes des différentes DT m’ont inspirée et je me suis lancée ! Mid-december I made a card for the birthday of one of my sister’s colleague. She enjoyed very much her card and she asked me to make one for her granddaughter who is born on 1rst of December ! Fortunately she had told me it was not urgent ! But up to now I didn’t have inspiration for this card and moreover she wanted a large size card (160×160). But the DT’s cards inspired me and I gave a try! La commande spécifiait des tons pastels, ce qui tombait bien pour le challenge de Less is More. J’ai choisi des tons pastels de rose, de lilas et de vert. Cette petite oursonne fait partie d’un set de tampons dont je ne me suis encore jamais servi, à l’exception d’un seul utilisé dans une autre carte. Je répond ainsi au challenge de Darnell. Sur le tampon original, l’ourson n’a pas de noeud sur la tête, alors j’ai pris le noeud d’un autre set, lui non plus, jamais encore utilisé. Sur un papier blanc j’ai tamponné et embossé le noeud et j’ai ensuite fait un masque. Puis j’ai tamponné l’image à l’encre Versafine et je l’ai embossée avec de la poudre transparente. J’ai ensuite colorié avec des feutres Promarker. J’ai fait la même chose avec le cadeau et le parterre de fleur. The order specified pastel colours, which was perfect to enter the Less is More challenge. I chose pastel shades of pink, lilac and green. 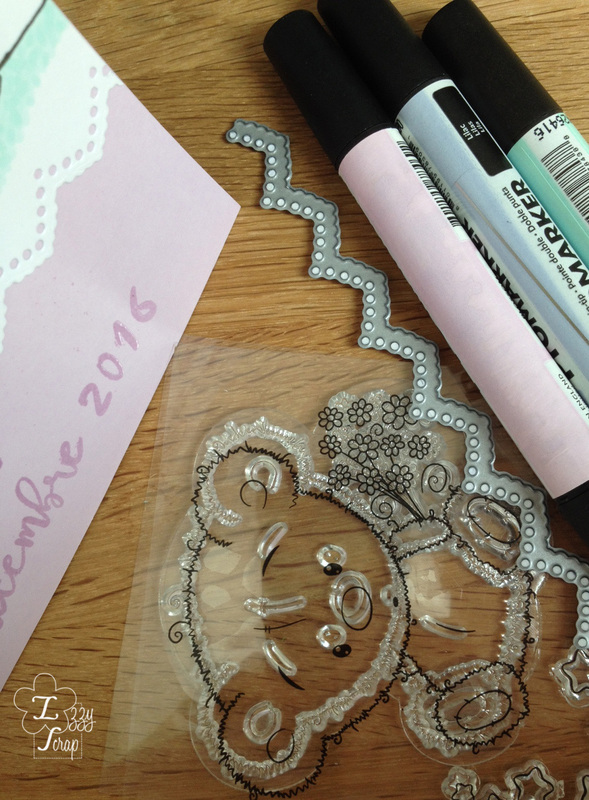 This little bear belongs to a NBUS stamp set, except one that I used for another card. So I can also enter Darnell’s challenge with this one. On the original stamp, the bear does not have any bow on the head, so I took the bow from another NBUS set. On a white paper I stamped and embossed the bow and I made a mask. Then I stamped the image with Versafine and I heat embossed with clear powder. Afterwards I coloured with Promarkers. I did the same with the gift and the flower bed. J’ai collé un papier adhésif double face au dos de cette image puis j’ai découpé le bas de cette image avec une matrice afin de faire une jolie broderie anglaise. Sur une double carte Lilas, j’ai tamponné avec de l’encre Versamark et embossé à chaud avec de la poudre transparente le prénom et la date de naissance du bébé. Je dois dire que c’est ce qui m’a pris le plus de temps à faire. Ce n’est franchement pas évident de lier les lettres ensemble. C’est pourquoi je l’ai fait avant de coller l’image ! I put an double sided adhesive sheet on the back of this image and I die cut the bottom with a fancy border. On a double Lilac card, I stamped with Versarmark and heat embossed with clear powder the baby’s first name and birth date. I have to say that is what took me the most time to do. It is frankly not easy to put the letters together. That’s why I did it before adhering the image! Je joins l’image suivante pour vous expliquer pourquoi j’ai rajouté des papillons qui n’étaient pas prévus au début ! I enclose the following picture to explain why I added butterflies that were not planned at the beginning! Comme vous pouvez le constater, au dessus du papillon il y a une cloque sous le papier. La colle de la feuille adhésive a fait une petite boulette que je n’ai pas réussi à aplatir ! D’ailleurs il y en a une autre sous le papillon mais je n’ai pensé à prendre la photo qu’après l’avoir tamponné ! Grrrrrr ! Et bien sûr on ne voit que ça ! Après tout le travail d’embossage du prénom et de la date je n’avais pas envie de jeter cette carte : d’où les papillons ! Je pense que ça peut aussi rentrer dans le challenge de Darnell comme un Boo-boo ! As you can notice, above the butterfly there is a bubble under the paper. The glue of the adhesive sheet made a little ball that I did not succeed to flatten ! 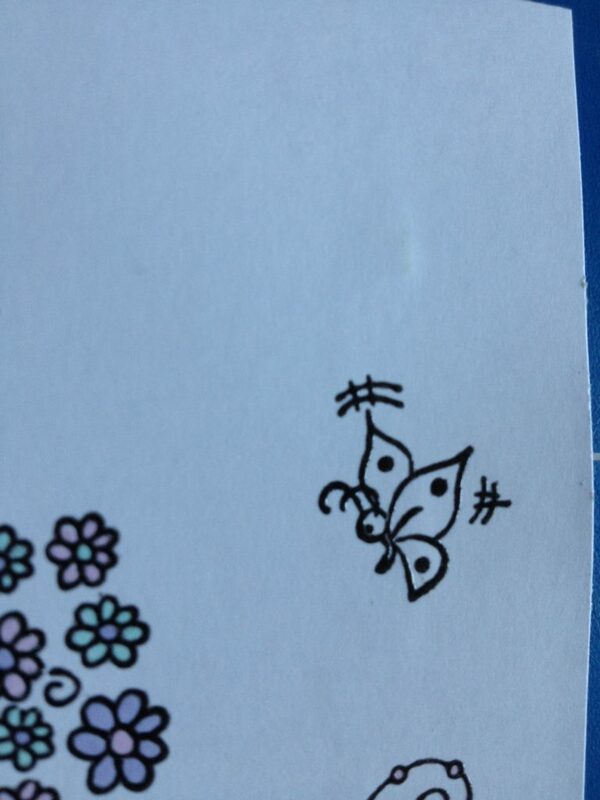 Besides there is another one under the butterfly but I thought to take the picture only after having stamped ! Grrrrrr! And of course we only see that! After all the work of embossing the first name and the date I did not want to throw this card: that’s why the butterflies! I think it can enter in Darnell’s challenge as a Boo-boo ! Et voilà ! C’est tout pour aujourd’hui ! Je ne pensais pas que cette petite oursonne me donnerait autant de fil à retordre ! And Voilà ! That’s all for today ! I did not think that this little bear would give me such an headache ! Uniko - May release, Blog Hop & Giveaway ! Well done for persevering with this sweet card, Izzy. The colours are so pretty and I love the delicate die cut border. Wonderfully put together and saved! Thanks Anita for your sweet comment ! Such a sweet card. Love it! 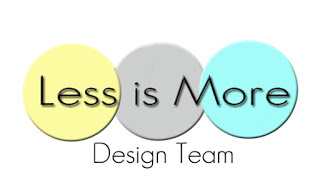 Thanks for joining us at Less is More! P.S. I also have an alphabet set from Concord & 9th and it’s not easy to make them look right, so I know why you spent most of your time with that! Yes, quite hard to stamp with this alphabet and some letters are made for English writing not French ! Headache or not, your card is adorable! I think you found a perfect solution for your little booboo! Love the expression on the bear’s face! Hee hee, this a cutie Izzy. Some cards are just destined to make us work hard, creating masks and all sorts. And I know what you mean about the letters. I just got the Mama Elephant Calli Letters and they take some getting used to, some of mine end up not quite attached to the next letter or not quite in the right direction (it’s my eyes playing up again haha)! Fortunately at the moment I am only doing envelopes with them, I have not yet risked them on a card! But this is pretty and your letters are perfect. And I could only see the adhesive bubble when you pointed it out, you did very well to hide your tiny boo-boo :). For a large card, you have designed it beautifully. Thank you ever so much Lisa for leaving me such kind comments each time ! Super cute card using an adorable image! The dotted chevron border is a great look! Thanks so much for joining us at Just Add Ink. En tous le cas ton travail est magnifique. Merci beaucoup Estelle pour ton gentil commentaire ! 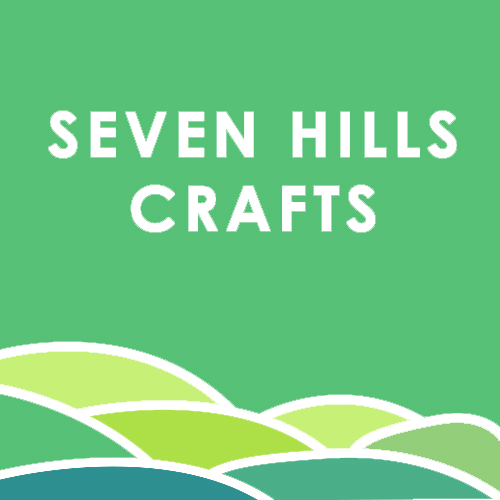 Isabelle, this is a delightful card – the end result is worth the headache it caused! Such sweet stamped images, and your colouring is lovely. Thanks for joining in the fun at Just Add Ink this week! Thanks so much Christine ! Thanks you so much Darnell ! It’s always a pleasure to play along with you ! Hugs ! Izzy, this is adorable! Love the soft colours are sweet bear. Thanks for sharing at Just Add Ink. 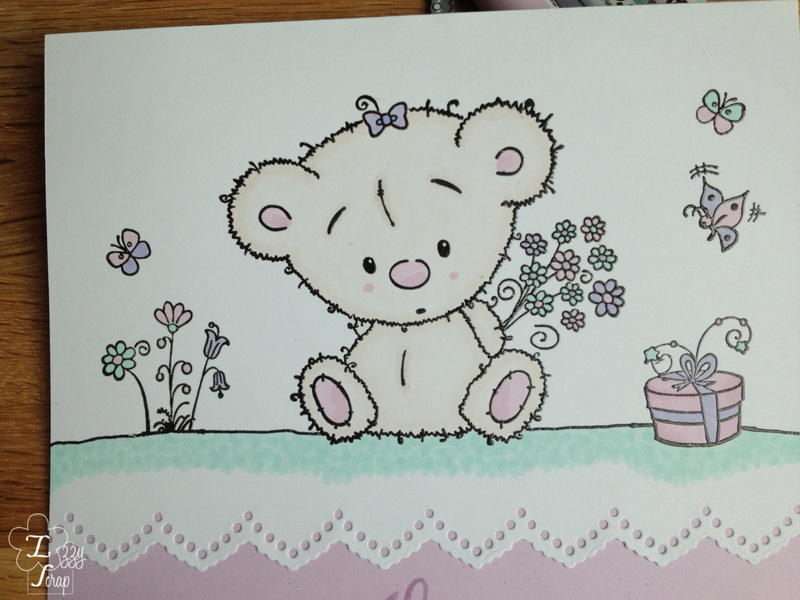 Super cute and a delightful pastel coloured card Izzy. Love your use of dies and and such perfectly coloured images. Well done on your cover-up job with the butterfly … I can’t tell there was anything wrong. Thanks for playing with us at Less is More. Thank you so much Sarah ! So sweet a design and I love the soft colors.